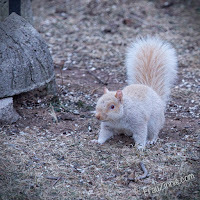 I signed on to Twitter this morning and learned that today – Jan. 21 – is National Squirrel Appreciation Day. The day was created back in 2001 by wildlife rehabilitator Christy Hargrove, a longtime volunteer of the Western North Carolina Nature Center. 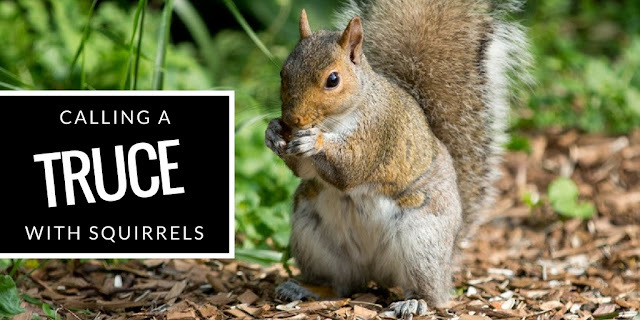 This knowledge made me laugh out loud for two reasons: If any animal needs a successful PR campaign, the squirrel falls into that category. As a gardener, I often hear others lament how squirrels dig up bulbs, destroy plants, dive-bomb bird feeders and can be a general nuisance. The second reason is ironic: Today – a day declared to appreciate squirrels – is also my grandfather's birthday. And he loathed squirrels. I'm not sure what specific event caused him to declare war. It could have been the typical complaints: destroying bird feeders, digging up plants. All I know is that when I was in elementary school, and he was his late 80s, he developed a routine of using a Havahart trap to catch squirrels. He would then place the trapped squirrel in the back of his 1986-circa station wagon and they would both go for a nice little drive to Forest Park, where the squirrel would be set free to wreck havoc there. My grandfather was quite proud of this process: he had created a solution to his problem. Gradually, one-by-one, the squirrels would be trapped and driven 12 minutes across town. I'm not sure what it did for the preexisting squirrel population in Forest Park, but at one point, he actually accomplished his goal of having a squirrel-free garden. For a week. 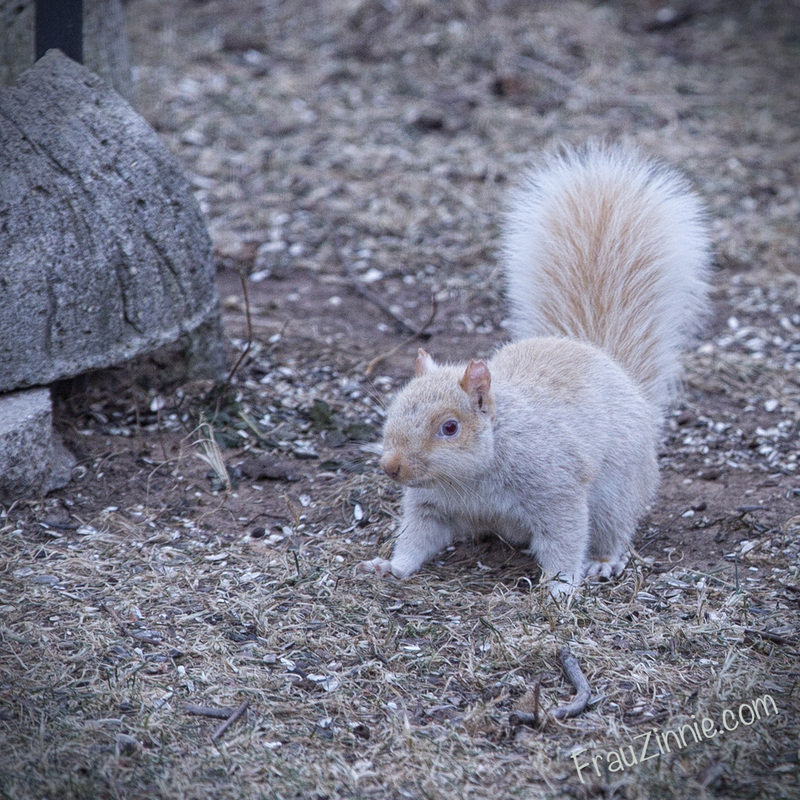 Then a new squirrel realized there was this nice quiet garden that wasn't being used and was territory-free. The process continued until the squirrels outlasted him. So you see, I wasn't raised to be a squirrel aficionado. gene that gave him white fur. After purchasing our first home, I too began to feed birds, and would get frustrated – even angry – when the squirrels outwitted me. I bought various baffles. I moved the feeder away from fences, trees, shrubs, the shed – anything they could use as a jumping-off point to crash land on the feeder. I eventually found a great squirrel baffler that the sales clerk assured me would do the trick. He was right. Only once in a while would a young, brazen gray squirrel have enough youthful energy to run right up the pole and somehow clear the baffler to get to the feeder. (It must have been the sheer force of his sprint.) But, like any young athlete, he eventually matured, and his adult body restricted him from completing his younger feat. I had finally outwitted them. Checkmate. But squirrels are ... squirrely. And still hungry. They had other ideas. And an extremely great sense of smell. 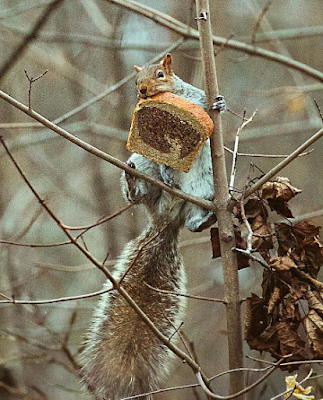 A squirrel escapes with a piece of stale marbled rye. So great, that when I threw out stale gingerbread cookies one winter's day, they chewed through my plastic garbage can to retrieve them. And while they were there, they grabbed the stale rye bread, too. I watched as they precariously dragged the bread slices – which they could barely fit in their mouths – cross the garden. 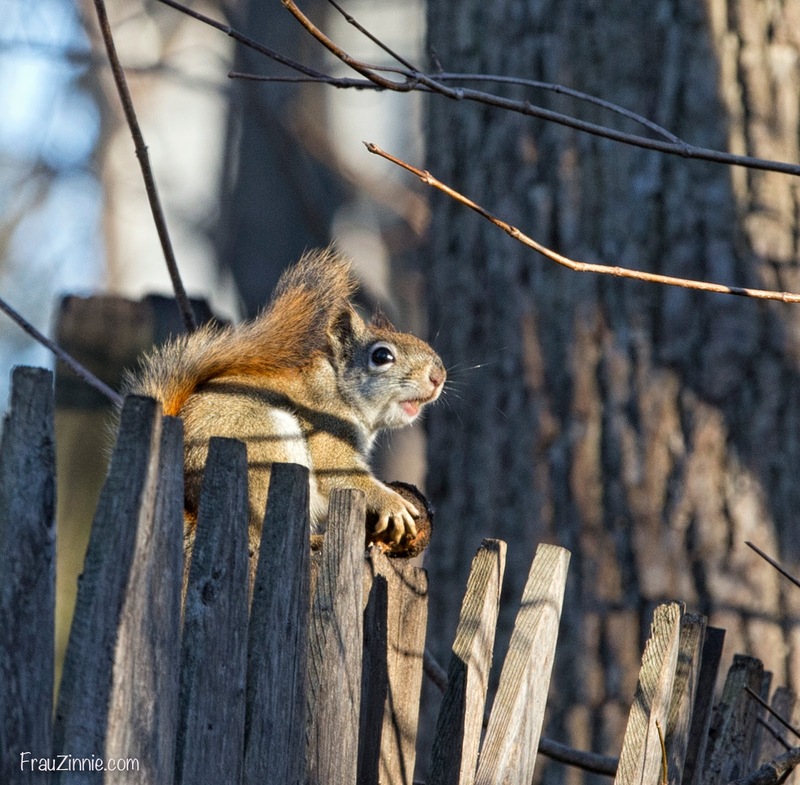 This red squirrel is the newest addition to the garden. Since I declared a truce with the squirrels, more have arrived. When they get too rambunctious, I stop feeding them (usually in the summer) so they don't destroy my plants as they race across the garden. 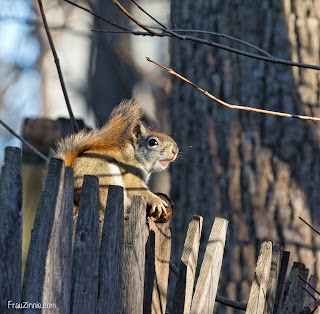 In the past few weeks, my husband and I have counted as many as 10 gray squirrels feeding in the garden, along with our newest resident, the red squirrel, who is crazier and faster than the gray squirrels ... and one I really like. Do they still steal my green tomatoes before they are ripe? Definitely. Do they dig up bulbs? Of course. But they've made me a smarter gardener, as we continually play the game of outwitting the other. I've stopped keeping score of who's winning. Now they are just part of the everyday routine. So on this national appreciation day, I ask that you too, consider putting aside your differences and grudges against the hyper, crazy garden outlaw. And of course, happy birthday to my grandfather, who would have been 109 years old today. 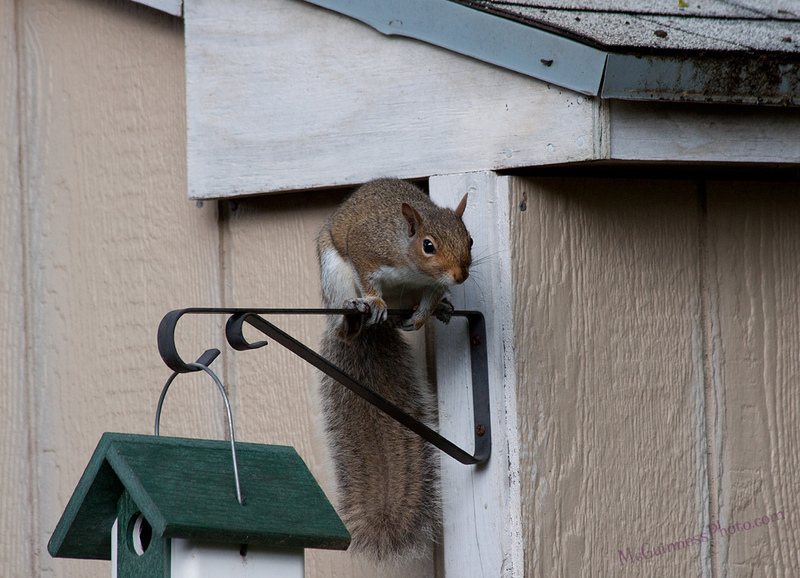 I'll have to buy a seed block for the squirrels to celebrate.